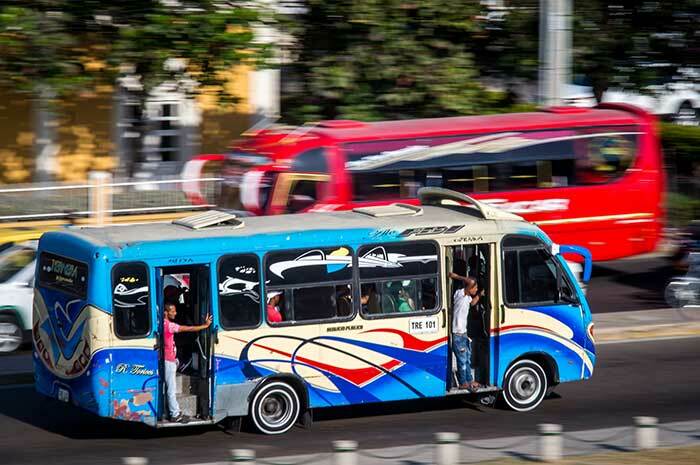 From all major cities of Colombia, buses offer excellent quality, are generally on time and are now the most common way of traveling in Colombia. Remember to cover yourself well air conditioning is often very high. When you reach Santa Marta terminal take a cab to Taganga, they know Divanga. Price and duration of the drive: 15.000 pesos and 15 minutes.